The blood type diets are fad diets advocated by several authors, the most prominent of which is Peter J. D'Adamo. 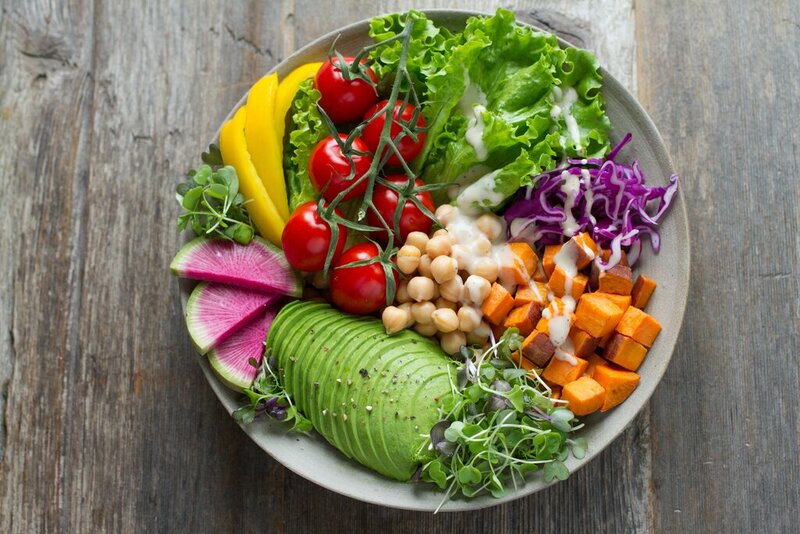 These diets are based on the notion that ABO blood type is the most important factor in determining a healthy diet and each recommends distinct diets for each blood type. The consensus among dietitians, physicians, and scientists is that these diets are unsupported by scientific evidence. From: "Eat Right For Your Type" by Peter J. D'Adamo, N. D. (G. P. Putnam's Sons, New York, 1996). What you can eat -- and how you exercise -- on this diet depends on who you are. D'Adamo rejects the idea that one diet fits all. 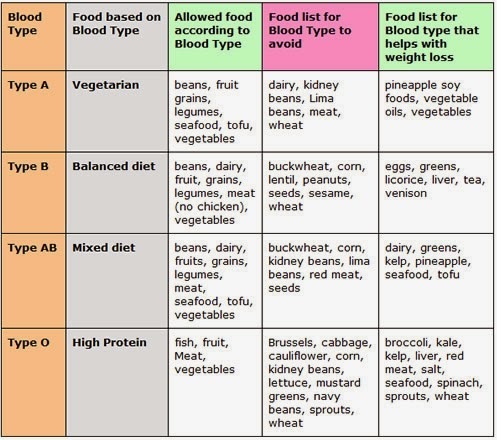 With four unique blood types, why shouldn't we have four specialized diet plans, he asks. The right diet for your blood type comes down to lectins, food proteins each blood type digests differently, D'Adamo maintains. If you eat foods containing lectins incompatible with your blood type, he says, you may experience inflammation, bloating, a slower metabolism, even diseases such as cancer. The best way to avoid these effects is to eat foods meant for your blood type. Beneficial foods for your blood type act like medicine, neutral foods like food, while avoid foods "act like a poison," says D'Adamo. For example, type Os should steer clear of whole wheat and wheat germ because "eating gluten is like putting the wrong kind of octane in your car ... it clogs the works," D'Adamo says.